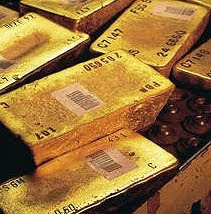 For people who like to take delivery of gold they have bought, storing your gold can be an issue. How you store your gold depends largely on how much you have. If you have gold bars by the dozen then bank vaults are the way to go. One must be sure, however, to take step to insure that the gold is registered to you and that it is classified as your property and not the banks. Banks around the world have been known to 'confiscate' gold so it is important in this instance to pick your bank wisely. There are also private companies that will store gold for you and of course the same rules apply. You will be up for storage fees, but then, if you are holding such quantities of gold these will be immaterial. Most people, however, will be holding or storing small quantities of gold or silver, usually just a few ounces of gold and or of silver. These can be stored at home or with friends and or relatives, IF you trust them implicitly of course. If you are storing valuables, and that include gold and silver, where to store it can be important. Many people have safes they use. Of course this is the first place thieves look, so it has to be a very strong and secure safe. Built in to the wall is best otherwise it can be simply carted off and opened at leisure. Of course it can be well hidden and difficult to find. There are also security and alarm systems one can buy to assist in protecting ones valuables in a safe, or elsewhere for that matter. Some people like to spread their valuables around, some in this sock, something else in that draw, some under the floor boards and so on. Spreading valuables such as gold and silver around makes sense as thieves often think they have found your stash and do not think to look elsewhere. Thieves often have time constraints also and want to get in and out fast before they are caught. Then there are the issues of transport and insurance. Gold, and even silver, is heavy and shipping costs can be mighty large. Insurance is an additional cost one has to bear also. There are ways around these too. Insurance is for all the metal stored and of course there are no shipping charges to worry about. There is a small regular storage fee but this is much less than it would be if you’re storing your gold or silver with a bank. Storing your gold need not be a problem then with solutions available for even the most secure conscious and discerning gold lover.